Welcome to Netteam tX. We’re a comprehensive Managed Service Provider (MSP) offering complete technology solutions to Businesses, Hospitality and the Education sector across the UK. Netteam works with your business to understand your requirements now and for the future ensuring that the best possible solution is installed by our experts who have an expanse of skills, knowledge and experience. We take care of your technology, while you take care of your business. Technology is most effective when it is joined up, enhancing your business and improving efficiency. We work with you to plan your systems, so your hardware and your software work in harmony. We tailor our IT support to meet the exact needs of your business. So whether you want ad hoc assistance, network maintenance, 24-hour support, or a fully managed service, we can help. The hospitality sector operates 24/7, so if you manage a hotel or venue you need a Technology company that is on hand 24/7. We work closely with the hospitality sector, offering tailored support and Technology based solutions to offering Technology based solutions and tailored support options to cover all systems. Businesses demand technology solutions to work with them not against them. Here at Netteam, we offer solutions that work with our clients, meeting budgets and the ability to support future company growth. We focus on what technology you have, what you need now, and what you need for the future. Then we’ll advise you on an IT strategy which matches your current needs and your future goals. Technology is at the forefront of Education and supports and enhances learning experiences in many forms. Netteam work with a number of Education providers offering hardware, support and connectivity solutions. 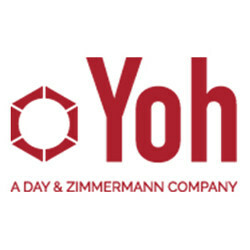 At Yoh, we recruit staff for the IT Industry, and heavily rely on our systems to support our business and ultimately our clients. Netteam are always responsive to any issues that appear and manage them quickly and efficiently. They have the technical knowledge and mindshare we need to be able to implement solutions to fit our business. Netteam have been our support company for over a decade now. They have supported us on numerous projects to include a migration to a new owner, based in the United States, which required them to work collaboratively to ensure a smooth transition. 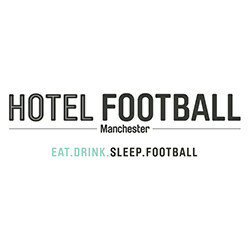 We recently launched our newest property under the GG Hospitality brand of Hotel Football, Manchester. Netteam were the selected lead technology consultant for the Hotel Football project following on from the launch of Café Football, London and also setup GG Hospitality, Hotel Football’s management company. Netteam have provided us with a complete end to end solution covering all IT services and project managing these from concept to Go live. Key platforms have been setup to create an adaptable approach to support future technologies. At Thorngrove, an independent prep school, we provide our pupils with an outstanding education and, therefore, we expect our technology team to provide us with outstanding services and support. Netteam has been our technology support company for a number of years. During this time, we have worked on numerous projects with them to include the setting up of the whole school infrastructure, as well as the installation of multiple interactive display boards and an iPad laboratory. Having a secure network is essential within our establishment and Netteam have proven themselves to manage this to the high standard we require. We’re delighted that at Netteam we have official partner status with some of the leading names in the technology sector, so you know we have the highest endorsement of the quality service we provide. Our specialist technicians are experienced and qualified to a very high level. We believe this means we can provide the best possible service, and install the best possible solutions, whatever your IT needs.